Now that the clock is ticking and we have just two weeks left until Valentine’s Day, I wanted to share with you a pretty and simple look you can use for celebrating heart day!. 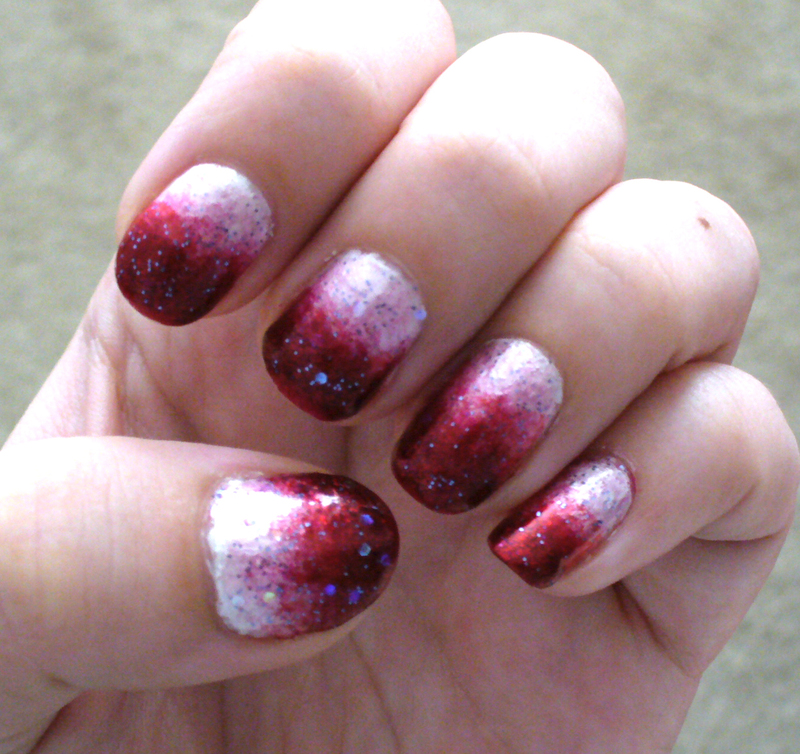 I used three colors I had on hand: a pearly white for a base coat, a light pink for the middle, and a glittery red for the darkest part. 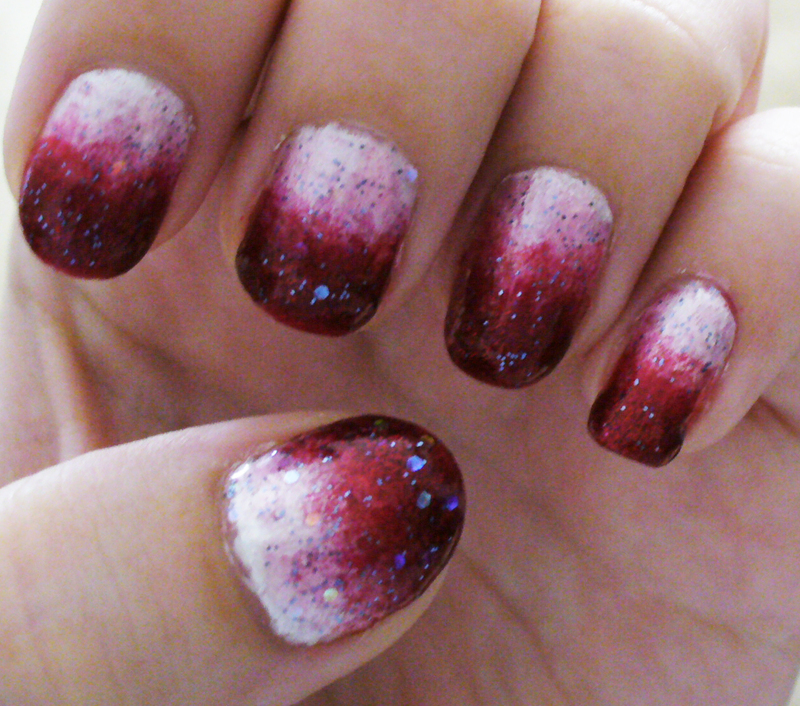 These simple gradation nails are pretty and fun to do! 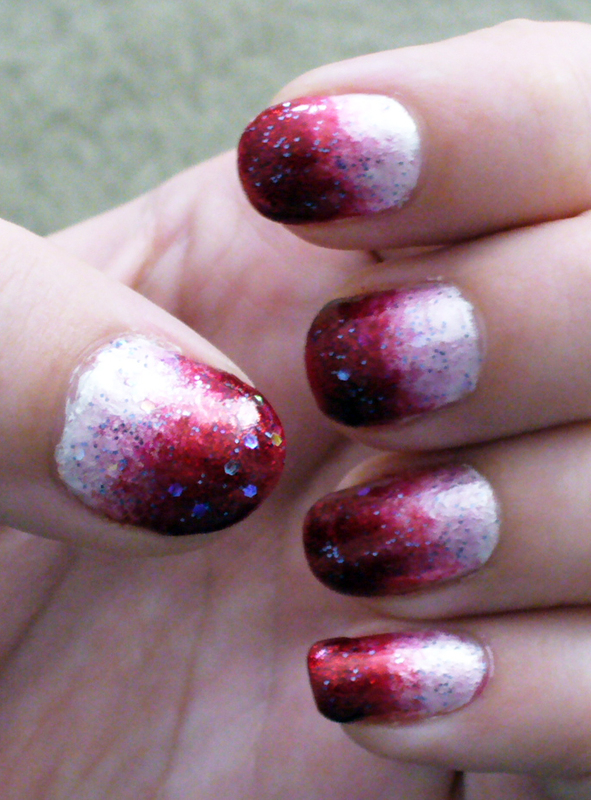 If you want more details on how to do a gradation look, take a look at my post “Sparkly Gradient Nails” for more details. 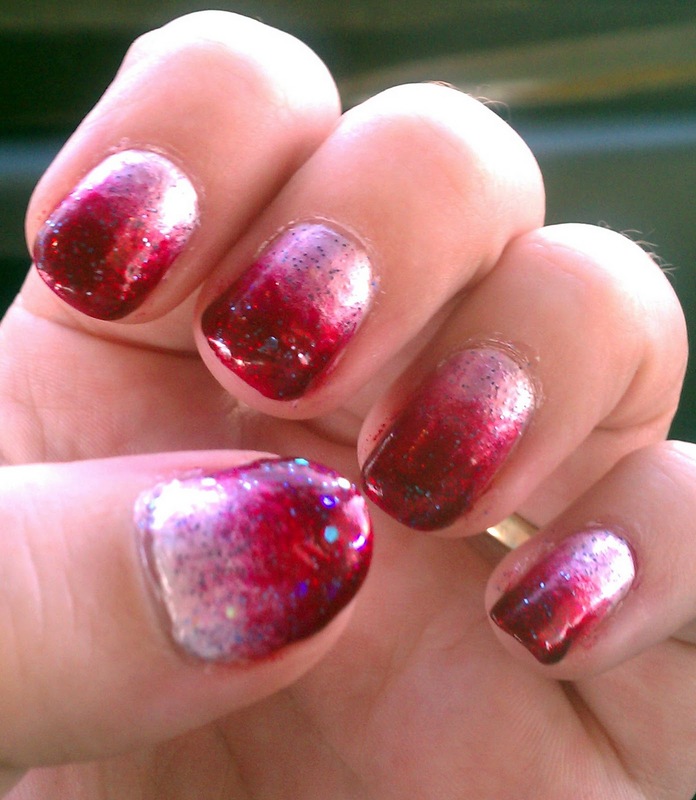 In short, as long as you have some scrap mail or paper plate and a makeup sponge; you can do this look at home! 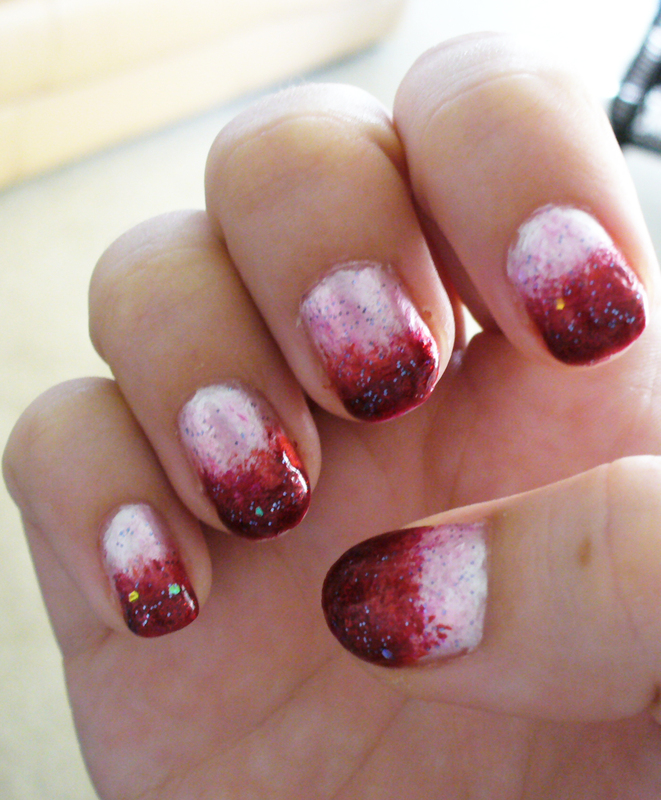 To me, this nail art manicure has more of a Valentine’s Day feel, without being to in your face. 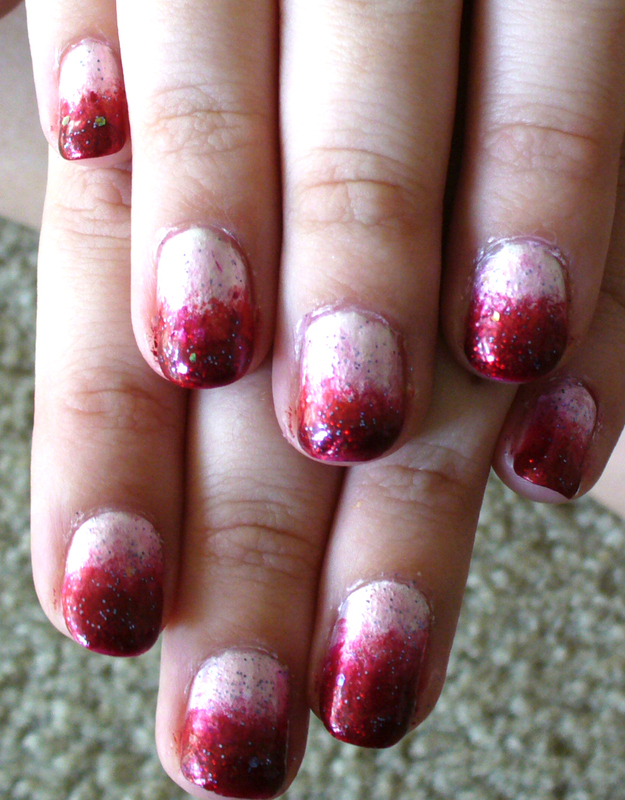 Hopefully more Valentine’s Day nail art coming soon! 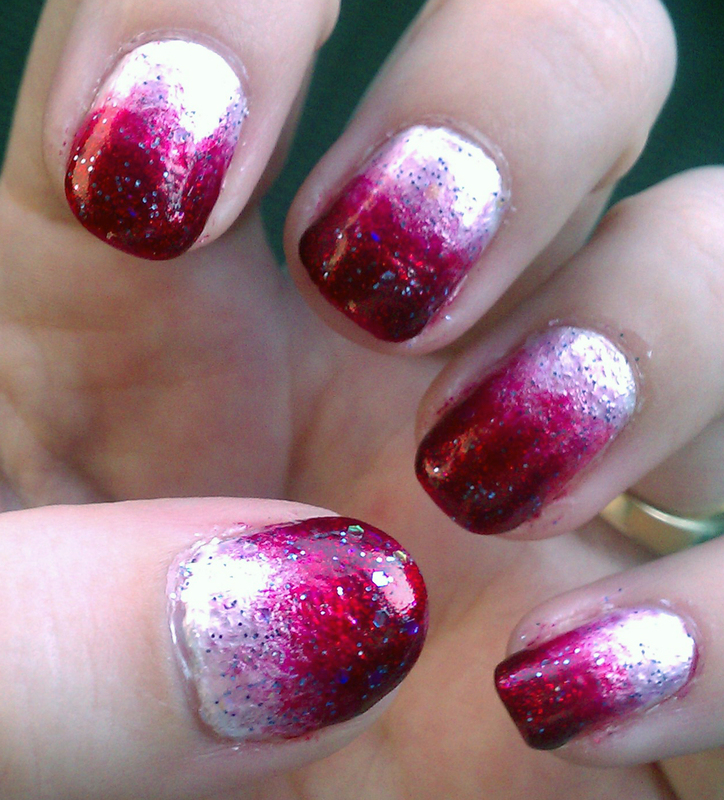 Hey Sparkle, you have got beautiful nail design. 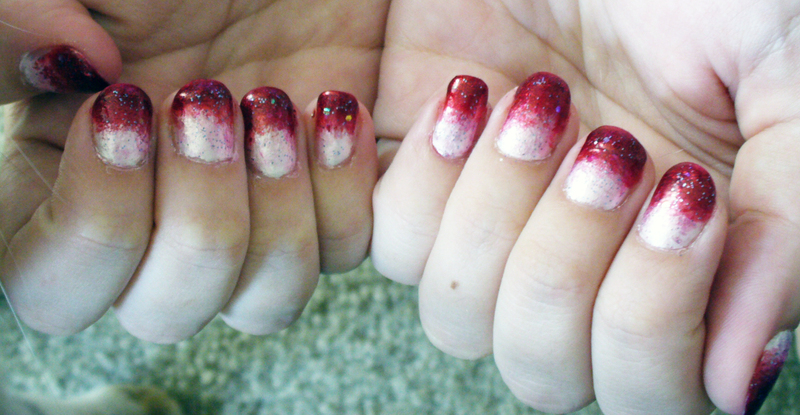 I love simple pattern, because I can do that.Lol!